Very spacious 1124 sq. ft., 2 bdrm, 2 bath, corner unit in central Walnut Grove location provides easy access to freeway & all of the amenities of Walnut Grove. 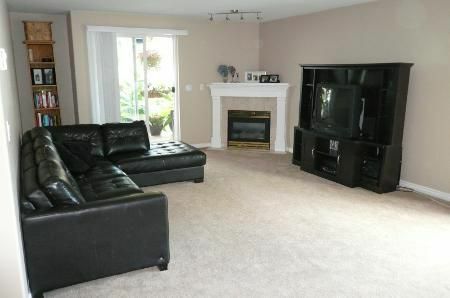 Entertaining is easy in the spacious living rm w/corner gas f/p & patio dr to balcony. Dining area for more formal dining occasions. 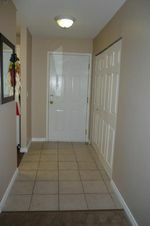 Attractive bright kitchen w/scads of cabinets, small E/A & window will delight the serious gourmet. 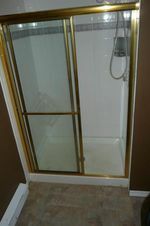 Two bdrms including master bdrm w/three pce ensuite & his & her closets. Insuite laundry. This neat & clean recently painted unit w/great kitchen, spacious living rm/dining rm & 2 bdrms, & 2 baths is a super opportunity for the discerning buyer looking for affordable living in comfort.